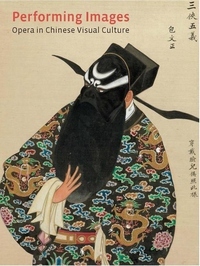 Writing in the early nineteenth century, the French traveler and cleric Abbé Huc exclaimed: "There is, perhaps, not a people in the world who carry so far their taste and passion for theatrical entertainments as the Chinese." Although the spectacle of this theater is well known, with its colorful costumes, props, and face painting, the extent to which opera was favored in Chinese pictorial and decorative motifs across the full spectrum of visual media--from courtly scroll paintings, popular New Year prints, illustrated woodblock books, and painted fans to carved utensils, ceramics, textiles, and dioramas--will surprise many. As the first comprehensive publication in English on the subject, Performing Images is not only a major interdisciplinary contribution to existing scholarship--featuring eight new essays by experts in the fields of traditional and modern Chinese literature, art, material culture, and history--but also a visual spectacle in its own right. A companion volume to the exhibition of the same name at the Smart Museum of Art, Performing Images contains more than one hundred color reproductions and over eighty illustrated catalogue entries. Together, text and image offer new insight into traditional Chinese culture, visual arts, and theater, and reveal how Chinese visual and performing traditions were aesthetically, ritually, and commercially intertwined.